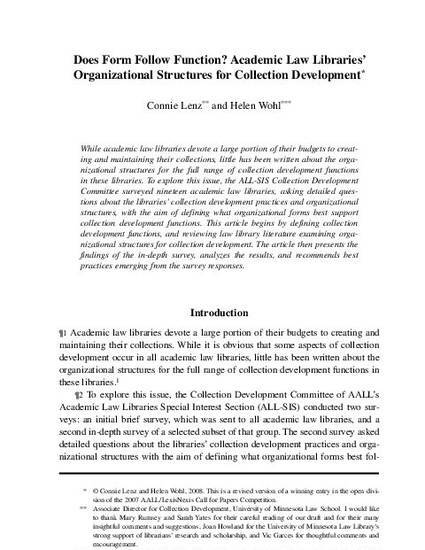 While academic law libraries devote a large portion of their budgets to creating and maintaining their collections, little has been written about the organizational structures for the full range of collection development functions in these libraries. To explore this issue, the ALL-SIS Collection Development Committee surveyed nineteen academic law libraries, asking detailed questions about the libraries’ collection development practices and organizational structures, with the aim of defining what organizational forms best support collection development functions.  This article begins by defining collection development functions, and reviewing law library literature examining organizational structures for collection development. The article then presents the findings of the in-depth survey, analyzes the results, and recommends best practices emerging from the survey responses.